Finishing off someone else’s project is never an easy task, but knowing the late owner and his family wanted the machine to stay local means there’s extra pressure to do a decent job. Looking over this smart Matchless G2M it was clear AMC made good looking motorcycles across its range and of course the company also had the reputation of producing mechanically quiet machines too, all of which helped them attract the unobtrusive sort of rider. Not that AMC didn’t have machines capable of grabbing the headlines and likely to be at the fore at shows such as Olympia in the 1930s, but not all purchasers wanted the hyper-bikes of the day. I’m taking a guess here by saying for every top-of-the-range bike sold, there’d be at least 10 of the base model bought by the chap who just wanted to get to work reliably. 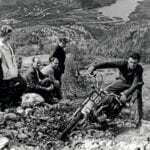 This purchaser wouldn’t be interested in ‘pressing on’ as fast as possible but more inclined to come out of the house on a morning, kick his motorcycle into life and ride to the office or factory for his day’s work, then return home in the evening where he would chat about the day while having his tea around the table with the family. What was wanted here was good mpg, easy starting and an unobtrusive ride with minimal cost. Our owner would likely wear a suit, a flat cap and have sturdy shoes on, maybe with a mackintosh and gloves if the weather was iffy. 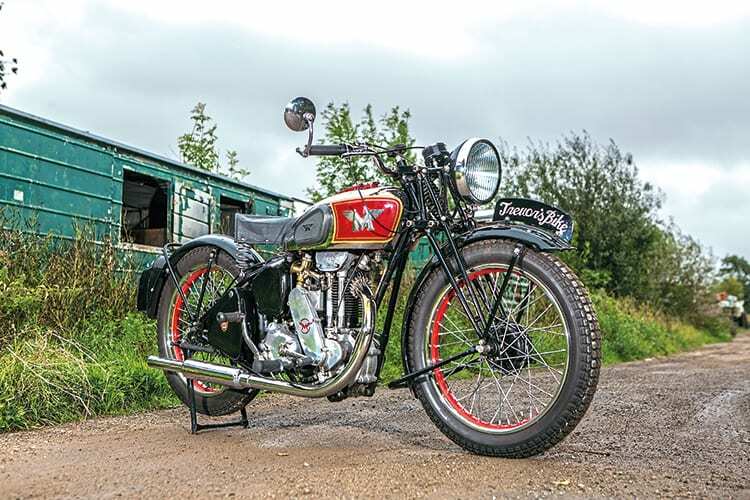 It was for this sort of owner machines such as the Matchless G2M were aimed – pleasant machines quietly going about their allotted task. How do I know this? Because I’ve met a considerable number of such owners during my varied working career. 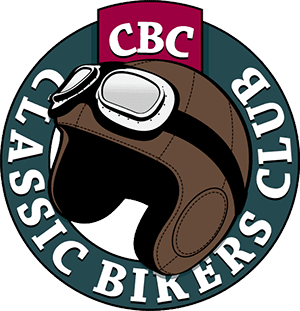 As a motorcycle enthusiast I, like all of you, tend to congregate with others of my interest which can lead us into the trap of thinking everyone is as keen on motorcycles as we are. 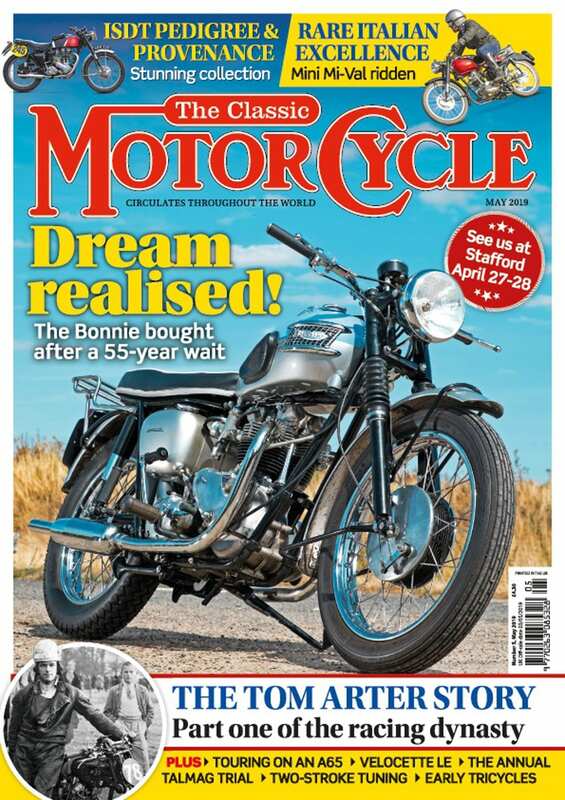 Once I started writing about these things for a living the situation was compounded as the job involves talking to the wide range of owners about their motorcycles. Yes, we may differ in opinion on which motorcycle is better than the rest, but the underlying unspoken assumption is we’re all enthusiasts. However, my working career has included being on the tools in the construction industry and being a sub-postmaster. 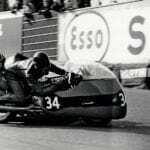 Running a small provincial post office puts you in contact with a wide range of people from all walks of life and a large number of my then customers, mainly pensioners it has to be said, had owned a motorcycle or three in their time. 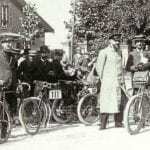 There were of course the enthusiasts, contemporaries of my father, who were all members of the local motor club and had competed in motorcycle sport but there was a much larger number of smartly dressed older men who had owned a motorcycle to get to and from ‘The Company’, as the local steelworks was referred to. These chaps, who accompanied their wives on pension day, wouldn’t regard themselves as motorcyclists, let alone that term ‘biker’ in common use these days. 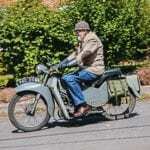 No, for these gentlemen the motorcycle was transport pure and simple, and a 250 was plenty big enough for their needs and, once affluence came along and a car was purchased, the motorcycle was moved on or parked in the coal shed, until such time it was got rid of years later. In the case of anyone living near a steelworks, the scrapyard there was a ready purchaser of such machines and many fine motorcycles went into the furnace. 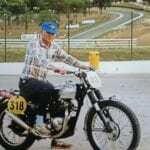 Luckily, no such fate was in store for this particular motorcycle and until Trevor Bailey’s untimely passing it was on track to be finished ready for action. As Trevor had been a major part of the scene both nationally and more locally in the Poachers Section in Lincolnshire, his family had wanted the machine to remain local if possible. Now it is a brave man who takes on a part-finished project as there are a lot of reasons for the abandonment of work. However, the usual excuses – no time, no parts, no ability and worse than was expected – don’t come into play here as the lad stepping up to the mark was well aware of the machine, had the time, had access to parts and certainly was more than competent to do the work. Said ‘lad’, Bryan Lingard, had the pressure though of it belonging to a mate… and of course the family would want to see the finished project. To me the finished project looks great and I wanted to know what had been done before the bike turned up at Bryan’s compact, but well equipped, workshop. “It was all assembled and able to be wheeled about,” says Bryan, “but there were no details finished such as the bracketry and the electrics, oh and a spacer or two here and there.” Quite a short list on the face of it, but as most readers will appreciate, putting the bike together is only the first part of the story and it always needs more work than you would think. Read more in the July issue of TCM – on sale now!